John Allain Viator is a founding member of our firm and practices in the area of general litigation with an emphasis on toxic tort, mass tort, environmental and insurance coverage litigation in both federal and state court. 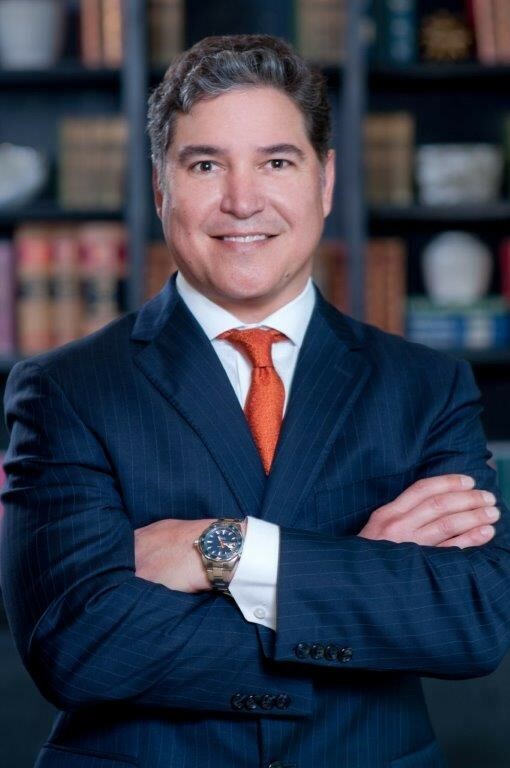 John has extensive trial and appellate experience representing large public and private corporations and insurance companies in all facets of litigation. John has defended Fortune 500 companies and other valued clients in litigation related to premises liability, products liability, toxic releases in the environment and workplace, insurance coverage disputes, construction litigation and maritime personal injuries, as well as a wide array of commercial disputes. John’s expertise also extends to other complex areas such as oilfield legacy litigation and litigation relating to subsurface hydrocarbon storage. In providing services to his clients, John’s primary focus is efficiently achieving the client’s objective. This involves not only formulating and aggressively pursuing an efficient and comprehensive resolution strategy that achieves the client’s stated objectives once a dispute arises, but also ensuring that the client has adequate and appropriate contracts, policies and practices in place before a dispute arises. Successfully defended Fortune 500 company in mass toxic tort litigation involving over 1,200 claimants arising out of natural gas release from underground salt cavern. Successfully defended Fortune 500 company in commercial litigation involving catastrophic failure of a subsurface hydrocarbon storage facility. Member of trial team which litigated damages in over 150 bench trials in the In Re: Bogalusa Chemical Release Class Action. Lead counsel for a Fortune 500 company, successfully negotiated multi-million dollar settlement involving loss of power to chemical facility. Representation of oil and gas clients in “Legacy” lawsuits, which generally involve claims of environmental contamination and remediation, short-term and long-term exposure to hazardous materials, naturally occurring radioactive material (“NORM”), oil field waste, and products liability on lands with or near oil and gas operations. Lead counsel for national insurers in numerous legacy claims, construction claims, and Chinese Drywall litigation. Lead counsel in numerous cases for commercial premises owners resulting in exoneration from liability for personal injuries of invitees/patrons, obtained through successful trials and summary judgments. Louisiana State University, Paul M. Hebert Law School – 1998. Law Clerk, Judge Richard T. Haik, United States District Court, Western District of Louisiana. Founding Member – Bienvenu, Bonnecaze, Foco, Viator & Holinga APLLC – 2011-Current. Partner – Taylor, Porter, Brooks & Phillips, LLP – 2005-2011. Louisiana Super Lawyers- Rising Stars - 2012. Martindale Hubbell – BV Rated.